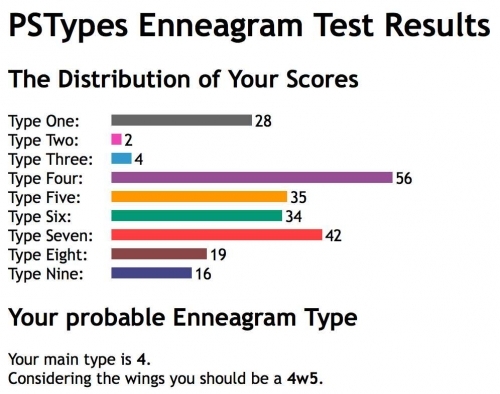 What are your PSTypes Enneagram Results? 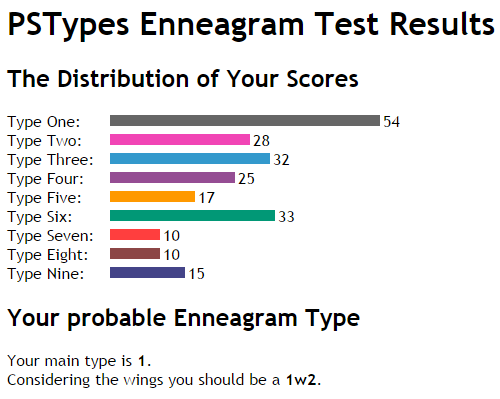 Thread: What are your PSTypes Enneagram Results? And even better, it's free. Allow at least 20 minutes for this test though. Last edited by Kullervo; 09-21-2014 at 07:48 PM. Yep, I'd say it's accurate. Huh. I used to identify as a One, way back when I felt...not okay. I know that I'm definitely not, now, but consistently my gut identification seems to be with Eight. Interesting. Well at least I'm consistent in my overall results. Haha, flat-out zero for Type 2. Your main type is 5. 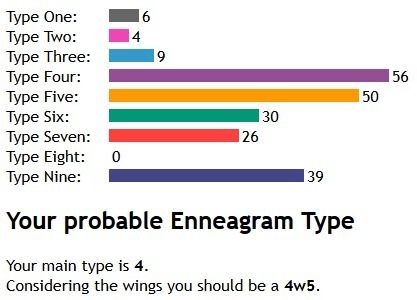 Considering the wings you should be a 5w4. 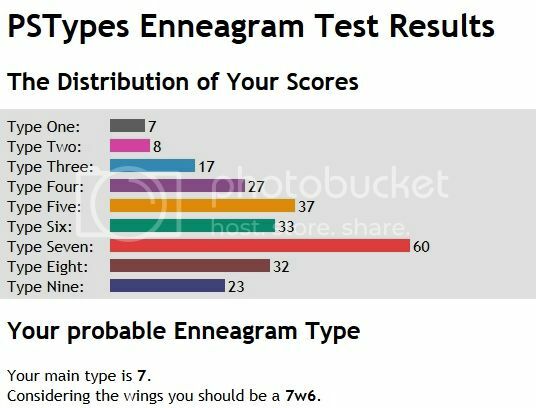 [ENFJ] ENFJs, what are your enneagram? What Are Your Johari Top 10 Results? 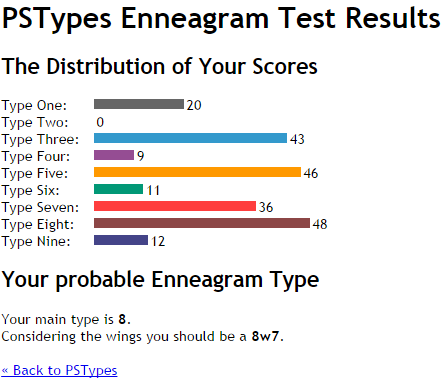 [E6] Enneagram 6: What are your variants and what scares you? 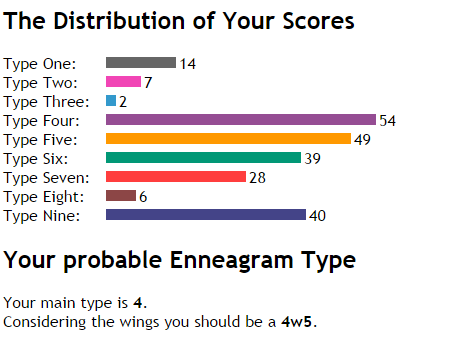 Fun enneagram test. What are your results?